The Minnesota Task Force's Next Step program recently won the 2017 Minnesota Association of Pre-Trial Services Agencies Board of Director’s Award for Outstanding Program. 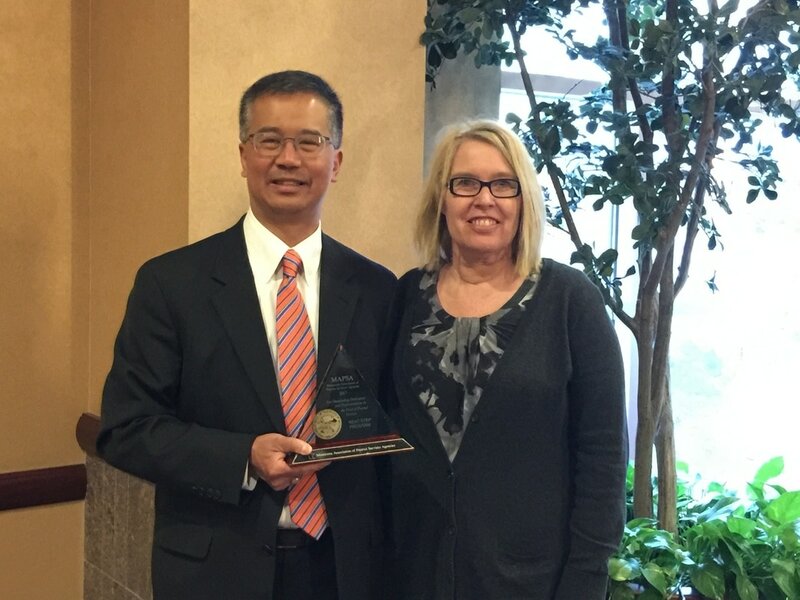 ​Minnesota Sixth Judicial District Chief Public Defender, Dan Lew, and Center for Drug and Alcohol Treatment employee and Next Step client advocate, Kim Davis, are pictured below with their award at the 20th Annual Minnesota Association of Pre-Trial Services Agencies Conference on April 26, 2017. Minnesota Task Force Members meet to discuss a plan of action. With support from the Public Welfare Foundation, the Task Force is currently working to address additional reform efforts, including planning an additional training for judges, and conduct post-reform data analysis. The Task Force outcome data was analyzed by Dr. Robert R. Weidner of the University of Minnesota Duluth, who found that the reforms implemented have virtually eliminated racial disparity in pretrial release when considering those released without bail, when bail is set, and in amounts of bail. This paper, which summarizes (1) why America needs pretrial justice, (2) the history of bail, (3) the legal foundations of the pretrial phase of a criminal case, (4) the pretrial research, (5) the national standards, and (6) terms and phrases used at bail, is unique in the field and is designed to provide anyone interested in pretrial justice (from criminal justice line-staff to governors, legislators, and justices on the supreme court) a broad overview of the issues facing America in this generation of bail reform as well as rational solutions to those issues so that this generation will potentially be America’s last. "There is overwhelming evidence that the wholesale incarceration of juvenile offenders is a failed strategy for combating youth crime. Disproportionately, youth of color are confined in juvenile correctional facilities. A Risk Assessment Instrument was developed and then implemented and subsequently every juvenile charged with a crime was given the RAI with the consequence of a dramatic reduction in youth of color in our juvenile detention facility. This has been an effective racial equity strategy in my community." The number of inmates confined in “Indian Country” jails is on the rise, according to a recent report issued by the Bureau of Justice Statistics (BJS). BJS reports that a total of 2,364 prisoners were confined in 79 Indian Country jails in June 2012, a 5.6% increase from the previous year. The report also reveals that more than half of prisoners are concentrated within the largest 14 facilities. The Indian Country jail population has risen steadily in recent years, increasing roughly 15% from 2000 to 2012. 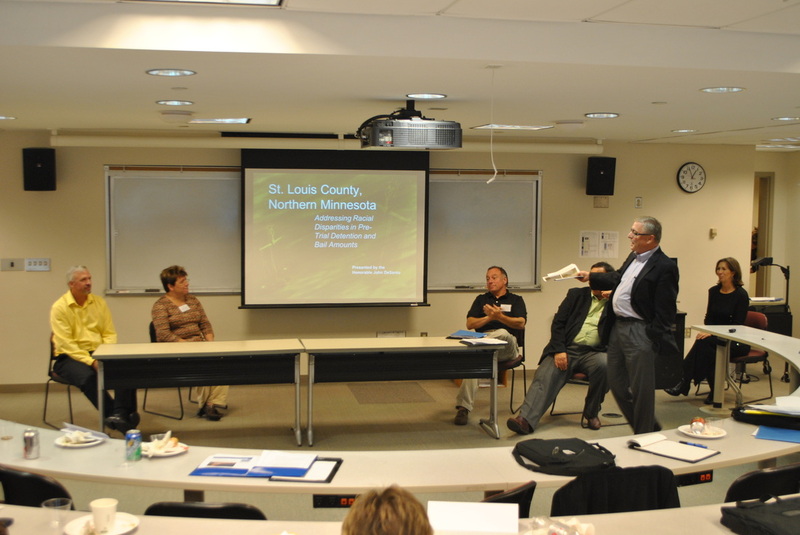 St. Louis County, Minnesota focused their project efforts on racial disparities in pretrial detention and release. Preliminary data showed that Native Americans and Blacks have been subjected to pretrial detention at a higher rate and are given higher bail than non-minority defendants. See Dr. Weidner's 2011 Data Report here. The Task Force conducted individual interviews of each of the 13 judges in Duluth, Virginia and Hibbing. Through these scheduled interviews the Task Force found that almost every judge believed that training would be beneficial to them for pretrial decision-making in areas such as: setting bail, release or detention of offenders charged with felonies, and the options available at arraignment – consistent with the principles of the presumption of innocence, the protection of public safety, and the need to assure that offenders will appear in court. 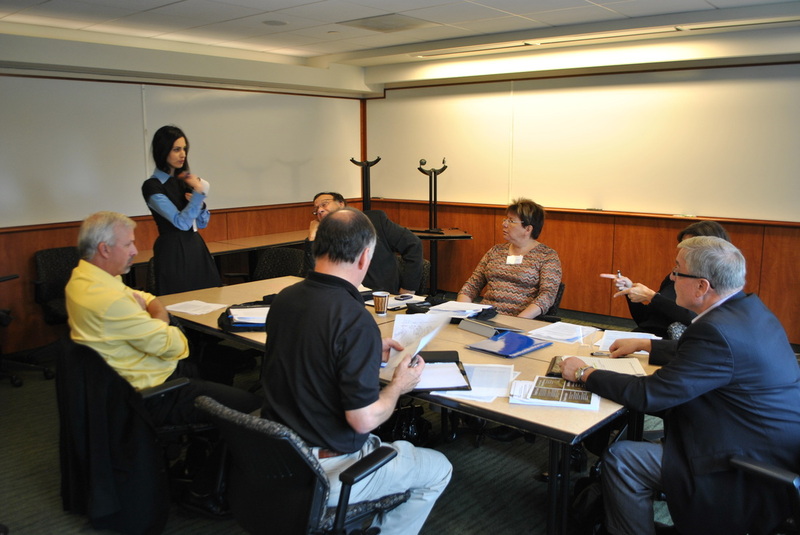 The RJIP team conducted one day-long training July 2012 in Duluth Minnesota for judges and probation officers. 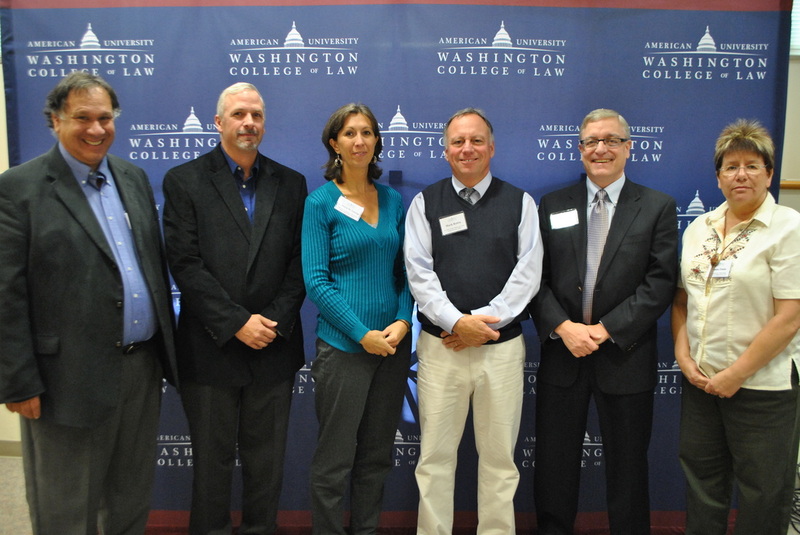 The Pretrial Justice Institute (PJI) in Washington D.C. was involved in the training and presentations. There were separate sessions for judges and probation personnel dealing with pretrial decision making and the use of the Arrowhead Regional Corrections’ new pretrial risk assessment tool. Subsequent to signing a memorandum of understanding, the Task Force successfully implemented a checklist that seeks to curtail judicial discretion in the bail setting process. To view the checklist, click here. 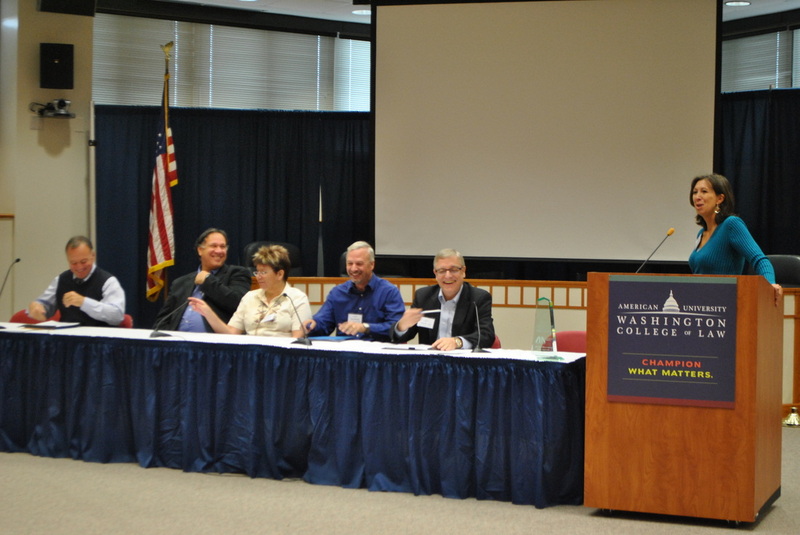 The Minnesota Task Force evaluated their reform and the utilization of the checklist. To see a copy of the survey provided to the judges, please click here. For data retrieved from the evaluation, please see here. To see the program overall evaluation complete with the first pilot study data sets, click here. The Saint Louis Task force has been able to see significant progress in decreasing jail population. In July 2013, Arrowhead Regional Corrections received a grant of $571,761 from St. Louis County to expand intensive pretrial release and community sanctions supervision services. As a result, 50 pretrial clients, who would otherwise be incarcerated, were placed on intensive pretrial release. Additionally, two Community Sanctions Program probation officers carry caseloads of 35-45 of individuals who have violated conditions of their probation and are at imminent risk of being incarcerated. Check out reports from the two programs below to see how implemented reform is making a difference. The Intensive Pre-Trial Release Program was designed to “provide Intensive Community Supervision on Pre-Trial Defendants in lieu of incarceration at the St. Louis County Jail.” Results through the first nine months of the program (July 1, 2013 to March 31, 2014) show that in addition to $985,421.69 in JAIL SAVINGS, use of jail beds has decreased with numerous participants successfully completing the program. 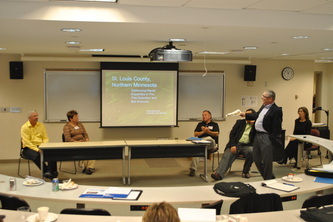 Donna Ennis, St. Louis County Minnesota Task Force Community Representative wrote an article on the work of the RJIP Task Force, read it here. Minnesota task force members spoke at Justice At Stake's 2015 Fair Courts Summit in Washington, DC on issues of implicit bias. Click here to read St. Louis County Task Force Member Donna Ennis's discussion of the Racial Justice Improvement Project in her blog.